Dr. Sara Kates-Chinoy treats both acute and chronic disease with an emphasis on digestive disorders, neurological challenges, chronic and persistent illness, women's health and hormone balancing. She may order standard and functional testing to investigate contributing factors to chronic disease. Dr. Kates-Chinoy uses food intolerance evaluation, biotherapeutic drainage, botanical medicine, advanced hydrotherapy, medical qi gong, homeopathy and structural balancing to remove obstacles and encourage healing. Dr. Kates-Chinoy has received additional training in a prestigious postdoctorate residency program specializing in weight loss, women's health, acute care and pediatrics. 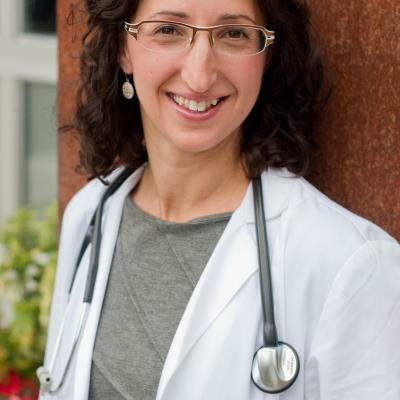 She has completed an additional residency as a clinical education professor at the National College of Natural Medicine She is a writing contributor to the Foundations Textbook Project the first naturopathic medical textbook widely available. Dr Kates-Chinoy believes in the power of individualized medical care. As a cofounder of Grain Integrative Health Dr. Kates-Chinoy is dedicated to the sustainable evolution of the current healthcare system. She enjoys working in the collaborative environment of Grain Integrative Health. Dr Kates-Chinoy grew up in Maine in a family with a passion for political action for social justice. She continues to support social change for a healthier future and her interests include music sports and outdoor activities.